Skateboarding has been a popular sport among teenagers even with its attendant associated risks. The literature is packed with articles regarding the perils of skateboards. Is the skateboard as dangerous as has been portrayed? This was a retrospective study conducted over a 5 year period. All skateboard related injuries seen in the Orthopaedic unit were identified and data collated on patient demographics, mechanism & location of injury, annual incidence, type of injury, treatment needed including hospitalisation. We encountered 50 patients with skateboard related injuries. Most patients were males and under the age of 15. The annual incidence has remained low at about 10. The upper limb was predominantly involved with most injuries being fractures. Most injuries occurred during summer. The commonest treatment modality was plaster immobilisation. The distal radius was the commonest bone to be fractured. There were no head & neck injuries, open fractures or injuries requiring surgical intervention. Despite its negative image among the medical fraternity, the skateboard does not appear to be a dangerous sport with a low incidence and injuries encountered being not severe. Skateboarding should be restricted to supervised skateboard parks and skateboarders should wear protective gear. These measures would reduce the number of skateboarders injured in motor vehicle collisions, reduce the personal injuries among skateboarders, and reduce the number of pedestrians injured in collisions with skateboarders. Skateboarding is a popular recreational activity among youngsters. The capability of attaining speeds up to 40mph and the possibility of performing various tricks have added a thrill factor to this sport . Its inherent instability adds to the excitement of skateboarding. There is little wonder that a wide range of injuries are seen with skateboarding. With reported deaths and an ever increasing morbidity, there have been calls to "ban the boards" . Most studies highlight the dangers of skateboarding [3–5]. There are other studies that suggest that most skateboard injuries are minor [6, 7]. Is the skateboard really dangerous? Is the call to ban skateboards justifiable? We aimed to answer these questions in our study. This was a retrospective analysis of skateboard injuries encountered by the Orthopaedic unit in a busy district hospital that caters to a population of about 100000, 28% being children. Being a popular holiday haven, the population triples during the summer. The Orthopaedic unit receives about 2200 trauma admissions, performs 1700 trauma procedures and assesses 5000 new patients in the fracture clinics annually. Age incidence of skateboard injuries. The annual incidence did not vary to a large extent. 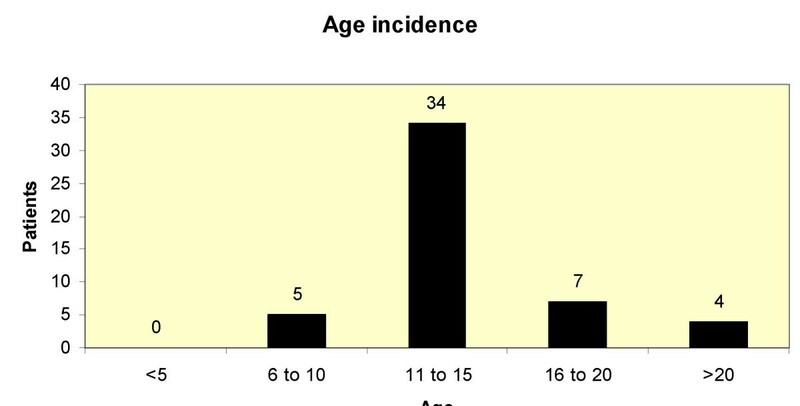 (Figure 2) The mean incidence was 10 patients per year (Range 6 – 14). Most injuries were sustained during the summer (36/50). Annual incidence of skateboard related injuries encountered. Most injuries affected the upper limbs (37/50) with 39/50 being fractures. The most serious injury encountered was a femoral fracture that required traction. The most common treatment modality was immobilisation in plaster (32/50). 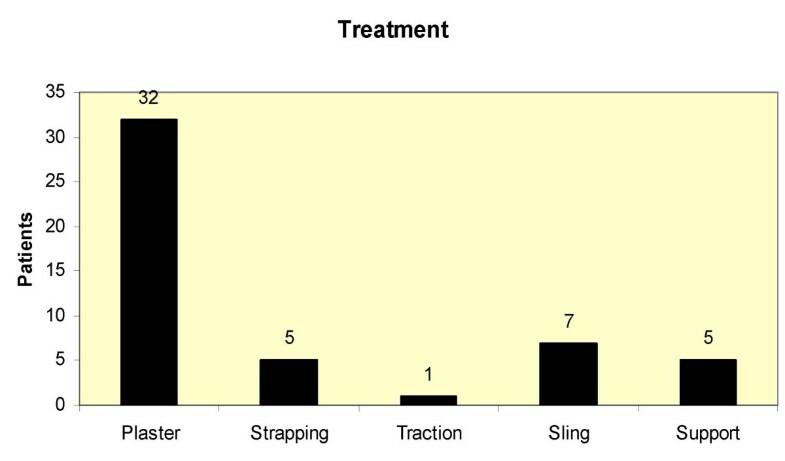 (Figure 3) Manipulation and reduction of fractures/dislocations were needed in 2/50 patients. None of the injuries required surgical intervention and only 7/50 patients required hospitalisation for observation. Treatment modalities for skateboard injuries encountered. Skateboarding as a recreational sport has been around since the 1960s. Since its introduction design changes and improvement in the manufacturing materials, especially the poly-urethane wheels, has made the skateboard more manoeuvrable. The skateboard can reach up to speeds of 40 mph and a variety of tricks can be performed on them . There has therefore been a rise in its popularity amongst youngsters. Papers on skateboard injuries have been published since the 1960s . With the rising incidence of injuries, the skateboard was even referred to as a "medical menace" . The calls to ban the skateboard resulted in banning this popular sport from public roads and sidewalks in Sweden. In Norway, there was a complete ban on skateboarding in the 1980s . Some articles use terms like "hazard" & "perilous" when describing the skateboard. Most articles highlight the various injuries sustained while skateboarding [3, 4, 7–9]. The skateboard has been portrayed as a villain causing increasing morbidity among youngsters. Our department caters to a population of about 100,000, 28% being children. Skateboarding is a popular activity amongst youngsters in this region. There are a few skateboard parks in our locality. This study was initiated as the skateboard injuries seen by us were not severe and the numbers were insignificant. Our question was whether the skateboard deserved all the negative publicity among the medical community, it being popular among youngsters. 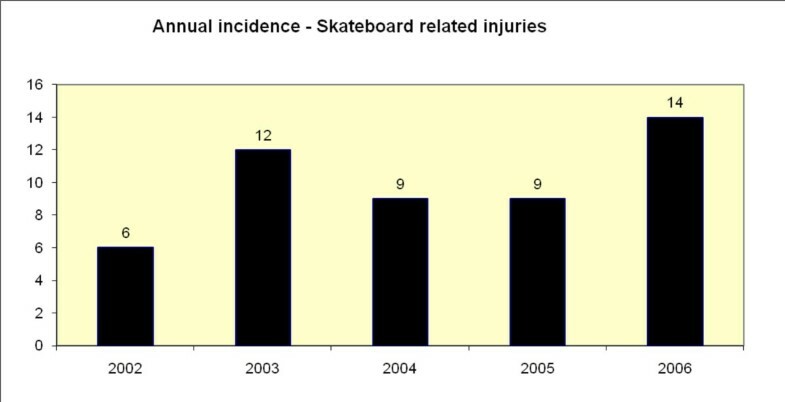 The incidence of skateboard injuries reported in the literature is varied [10, 11]. Zalvaras et al found only 187 skateboard injuries among 2371 fractures seen in a level1 trauma centre paediatric fracture clinic . In a study by Schalamon J et al, the 4-month calculated incidence in children less than 16 years of age was 0.68 per 1,000 for skateboard injuries . They suggested that skateboard injuries accounted for 2.6% of all paediatric traumas within a region. Our annual incidence was 10 patients per year among 5000 new fracture clinic attendances (2 per 1000). Compared to other recreational activities like scooter riding, roller skating and in-line skating, the incidence of skateboard related injuries is varied [7, 11, 12]. The injury characteristics seem to be similar among these activities with forearm injuries being more common . The reported severity of injuries related to skateboards compared to the other activities has been varied in the literature [2, 11]. Head and neck injuries following skateboard accidents are commonly seen in children younger than 5 years . The incidence of head injuries and critical injuries due to skateboarding accidents has been reported to be high . We did not encounter any open fractures or head and neck injuries relating to skateboard injuries. Most skateboarding injuries reported in the literature are minor although the occurrence of potentially life threatening injuries has been documented . In our study although most injuries were fractures, these were not severe and were managed conservatively. The most severe injury was a femoral fracture that was managed successfully in traction. Few patients (4%) required a manipulation for their fractures and only 14% needed to be hospitalised. This correlates with other studies in the literature. Illingworth et al encountered 40.9% fractures in 225 skateboard injuries of which only 19 patients required a manipulation under anaesthesia . Our study did show that most injuries occurred on the pavement. To enhance safety while skateboarding, we agree with other studies with regards to encouraging youngsters to use supervised skateboard parks and use of protective gear [7, 10]. Our study has its limitations in that only patients encountered by the Orthopaedic unit were included. Patients with minor injuries like contusions & sprains may have been discharged from the Accident & Emergency. This would still show that most injuries with skateboard accidents are minor. We did not look at the effect of use of protective gear on skateboard injuries which is a limitation of the study. Based on the results of our study, the skateboard is not a dangerous sport and calls to ban this popular sport is not justified. Our study found that skateboarding injuries, although present, were infrequent and not severe to call for banning of the sport. Use of protective gear and skateboard parks may lower the risk of injuries. UR, the main author was responsible for conducting the study, acquisition, analysis and interpretation of the data and preparing the manuscript. RSY, the co-author was responsible for literature review, data acquisition and has approved the final draft. AS, the senior author was responsible for supervising the study, proof reading of the manuscript and has approved the final draft of the manuscript.